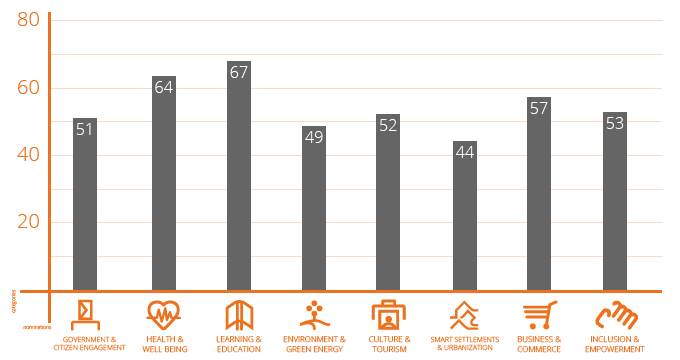 What examples of local content and innovative solutions do you find in Ghana compared to Latvia? 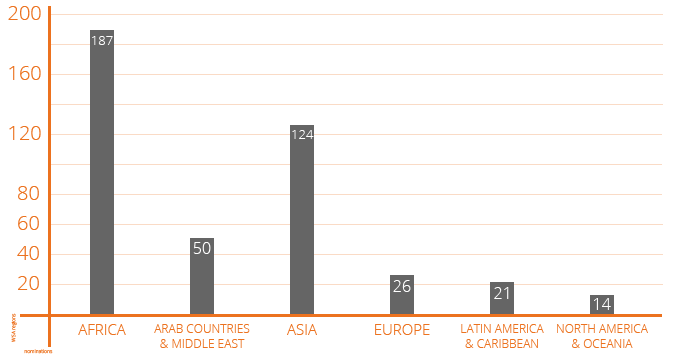 And how are Pakistani or Colombian entrepreneurs evoking social change within their communities? 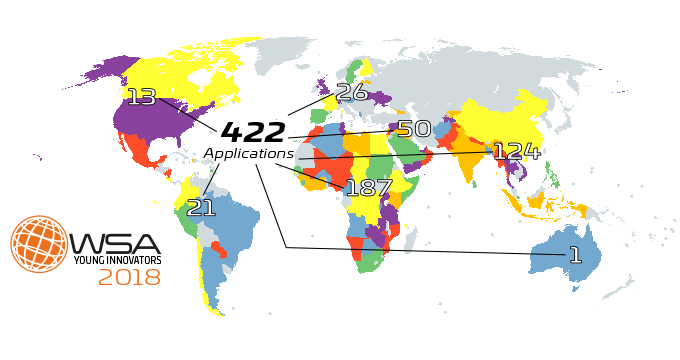 With more than 430 nominations, WSA presents a unique worldwide overview of global ICT development for social impact in 2018. 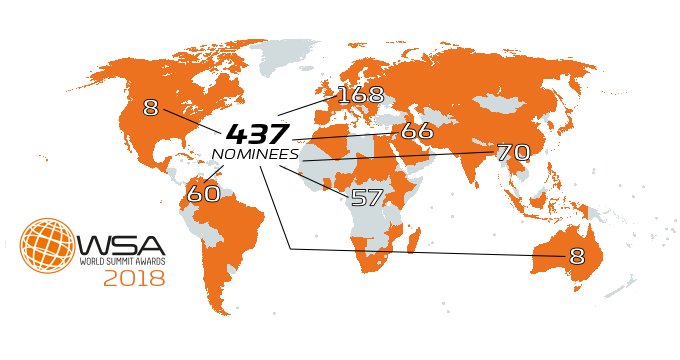 Every year, the WSA National Experts select locally the best practices of their respective countries to nominate them for the WSA categories - Only the best national digital solutions will be nominated. Find here the first stats of this years nominations for each category! 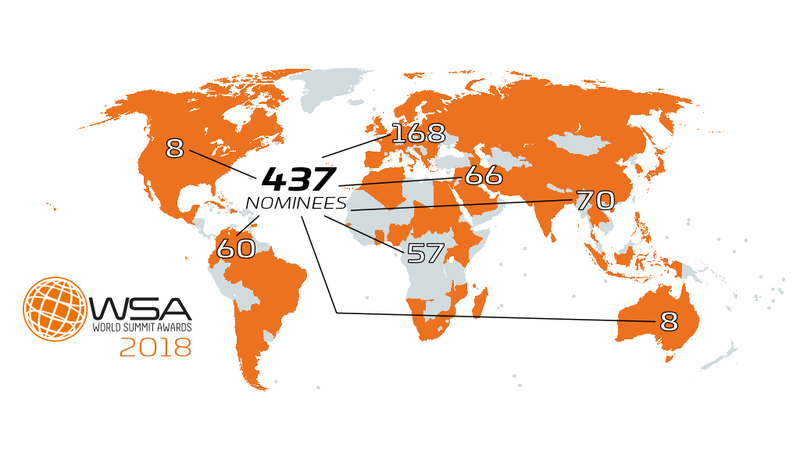 Combining an ongoing series of international events and activities with a global network of start-ups, social entrepreneurs, mentors, jurors, speakers, experts, government leaders, academia and civil society, WSA is an international platform for ICTs Entrepreneurship with impact on society - showcasing best practices worldwide: Here are the WSA 2018 nominations sorted by regions! The WSA Young Innovators is a special recognition for young social entrepreneurs under 30 years of age, using ICTs to take action on the United Nations Sustainable Development Goals (UN SDGs). Together with the WSA winners of each year, they are honored for their outstanding digital innovation with social impact. 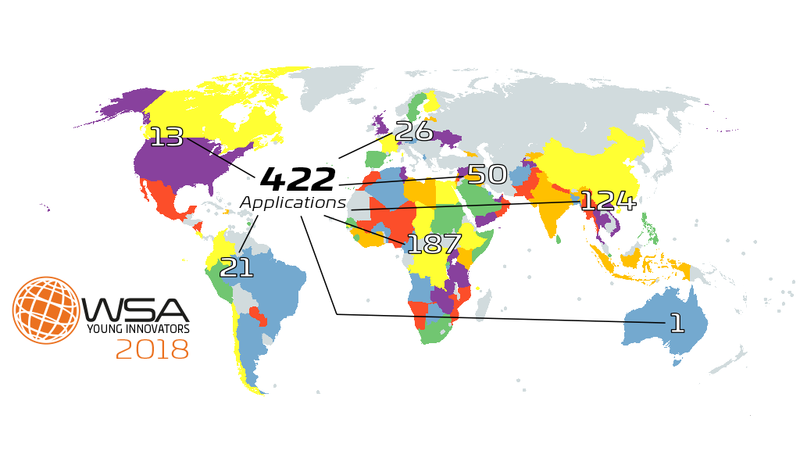 The WSA Young Innovators call closed this year with 422 applications from more than 90 countries. 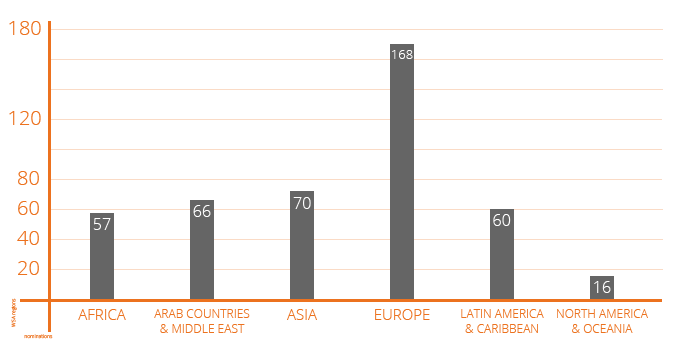 An especially selected youth expert jury will decide on the winners. Stay tuned for the first results in November 2018!